Browse : Home / News / More Airline Failures - Are You Covered? In January we reported on a watchlist of airlines that had recently gone under, or were facing financial hard times. Less than three months later, there are quite a few additions to that list. Unfortunately, some of the most recent to cease trading weren’t even on the watchlists back in January. - Flybe cancels flights amid redundancy talks. Ryanair has taken over some of these flights as of 12 April. - Virgin (also now co-owner of Flybe) has posted losses. We hope the new upturn in some airline shares last week (likely a repercussion of the Brexit date being delayed) means we’ll see fewer airlines in trouble this year, but it’s difficult to predict. What happens if you book a holiday and your airline or another provider linked to your holiday becomes insolvent? Would you be able to get any money back, or would you be stuck losing that payment and still paying for replacement flights or accommodation? Don’t assume you’ll be covered by an industry rule or a Government plan if your airline or another provider does go bust, as there are plenty of gaps. No doubt you’ll remember the drama that ensued when Monarch airlines went out of business. The UK Government and the CAA brought our stranded travellers back home, but at the end of the day every UK taxpayer footed the bill. There was a lot of criticism, and we can’t guarantee that they’d do that again, if another large airline failed. The technical term in the insurance industry for the financial protection these sorts of insolvencies can expose a traveller to is End Supplier Failure Insurance, or Scheduled Airline Failure Insurance. Onestop4 travel insurance policies include this protection, but we are pretty unique in that way – we don’t like gaps in cover! How else can you be financially protected? - Section 75 of the Consumer Credit Act offers some protection if you are paying by credit card but will only cover values over £100 and no more than £30,000. - Some credit card providers will offer cover for values below £100, so you should check with your provider to clarify the cover they provide. - Debit card transactions are not covered by the Consumer Credit Act, but each bank will have its own terms and conditions which may include some protection for customers. - An example of this is known as a ‘chargeback’. This is where you pay for something with your debit card and that order or service has not been adequately completed or is never received. Your bank can charge back its value from the retailer's bank. - Each bank has its own terms and conditions in place so you should check what yours are carefully. Please note: if cover is available through your credit or debit card you may only be covered for your original card transaction value. There will be no cover for the increased repatriation costs to bring you home if you are abroad when the insolvency occurs. - The Civil Aviation Authority runs a scheme called ATOL (Air Travel Organiser’s License) that provides some protection for customers buying their flight as part of a package. - For more information you can go to ATOL’s website www.atol.org.uk. - ATOL covers the insolvency of the ATOL holder i.e. the Travel Agent or Tour Operator themselves and not the insolvency of any providers of the travel arrangements you have booked through the ATOL holder, so you should discuss your protection with your Travel Agent /Tour Operator as they are responsible for refunding or rebooking you should a provider of your travel arrangements financially fail. - NB: You are only covered by ATOL if you receive an ATOL certificate (which your Travel Agent/Tour Operator should give you when booking). - Where your holiday does not include a flight but consists of an overnight stay and another element of travel booked through the same company either directly or indirectly (e.g. you are booking your accommodation on a website and that website directs you to another website to book your car hire), then you will have protection rights under the European Package Travel Directive adopted by the UK. - You should enquire about your protection with your agent (i.e. the initial accommodation website you used) in respect of any protections they have in place for their insolvency and the insolvency of any End Supplier (e.g. a car hire website) you have booked through them as part of your holiday arrangements. - If you buy through a travel agent and receive your tickets or vouchers within 24 hours, your money is not protected. - However, if the agent takes longer than this to issue your ticket to you, by law they should hold an ATOL license and issue you with an ATOL certificate to protect you if they become insolvent. In this case, the agent is obliged to refund or re-book your flight should the airline they booked you on become insolvent. - If you buy your ticket directly from an airline, your money is not protected if that airline fails. 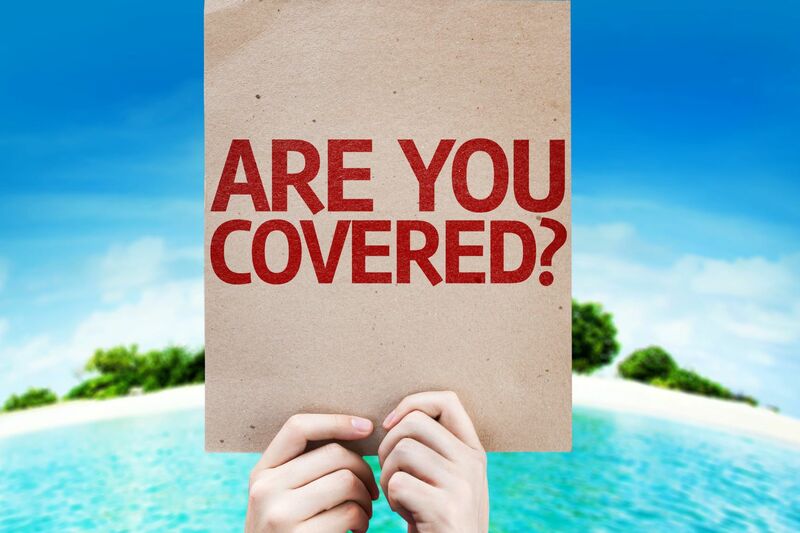 - If you are unsure of what protection you have it is best to talk to your Travel Agent who can tell you what is in place. What’s the difference between ‘End Supplier Failure’ cover and ‘Scheduled Airline Failure’ cover? SAFI (Scheduled Airline Failure Insurance) is restricted to scheduled commercial airline financial failure only. ESFI (End Supplier Financial Failure Insurance) gives protection against not just scheduled commercial airlines, but also a lot of other bookings. It covers the insolvency before or after departure of any travel arrangements booked in the United Kingdom, not forming part of an inclusive holiday and not bonded or insured elsewhere.